Head Master of Solihull Junior School Mr Mark Penney, accompanied by Assist RR Trustees, visited Sri Lanka in July/August 2106 . When we visited Puthukudiyiruppu (PTK) Roman Catholic Tamil Mixed School (RCTMS), the Acting Principal of the school, Sister Yaso James, invited us to witness a dilapidated temporary shelter that is being used for four classrooms. 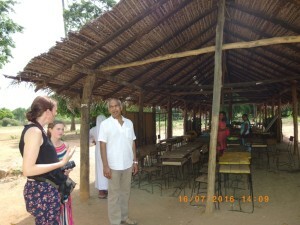 The shelter was in a very bad condition and in an urgent need of replacement. Photos of this shelter is given below. 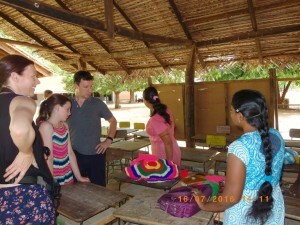 Mr Penney was taken aback by the conditions under which children were learning. 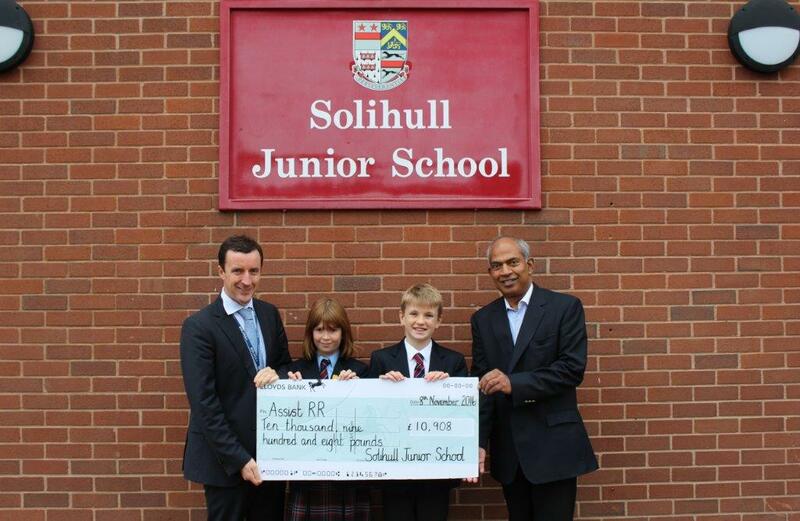 After witnessing the need there, the Solihull Junior school agreed to raise funds during their fund raising week in October 2016 to construct a classroom building to PTK RCTMS . The Youtube below shows various activities of the pupils and staff and their amazing efforts during their fund raising week in October to raise funds to a cause that they have no connection with. They raised £10908 for the school building project, breaking their previous record again. If these children can achieve this goal, why can’t the Diaspora Tamils do more to help our needy back home? 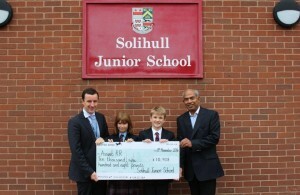 We are indebted to Solihull Junior School children, staff and parents for their continuous kind support to our needy back home since 2009.